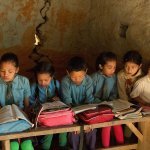 It has been almost two years since the devastating earthquakes of 2015 hit Nepal, destroying 500,000 homes and taking nearly 9,000 lives. 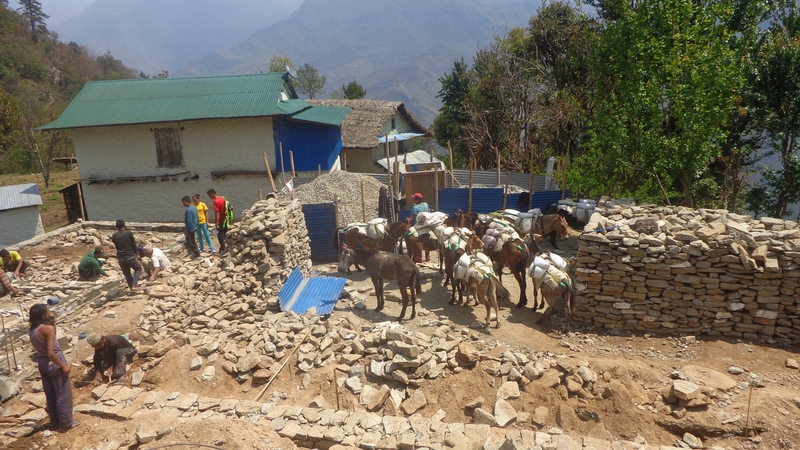 Like nearly everyone in Nepal we at dZi, along with our local partner communities in the remote mountain districts of Khotang and Solukhumbu, are still putting the pieces back together. Our earthquake recovery plan focuses upon reconstructing local schools that were damaged by the earthquakes and providing income generation opportunities for families that have lost their homes. We set an ambitious goal of ensuring that all children in our partner communities are studying in safe classrooms. This meant rebuilding 28 schools in total (reduced from our initial goal of 31, due to the limited presence of other donors and subsequent assessments of all schools during our feasibility study). In 2016 we finished rebuilding 9 schools, and our goal for 2017 is to complete another 8 using new Light Gauge Steel technology. We are well on our way and for some, like Shishu High School in Maheswori, the community started rebuilding early and has already completed half of the new classrooms. 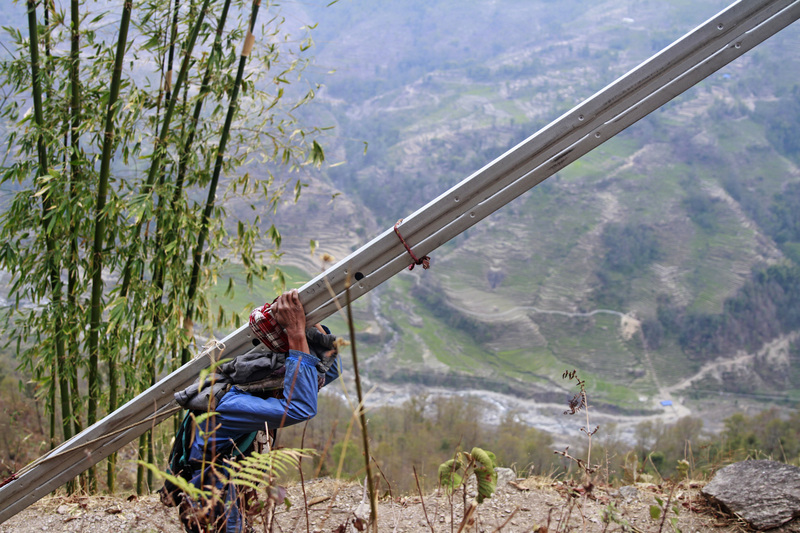 In the photo below a local community member transports Light Gauge Steel (LGS) trusses to the construction site of Sidda Kanya Lower Secondary School in Rakha. Between January and March 2017, community members like him from across our partner communities have transported thousands of these LGS pieces from the nearest roads to the school sites. Transportation by foot takes half a day for the schools situated closest to the end of the dirt roads, and for others it can take up to a day and a half. 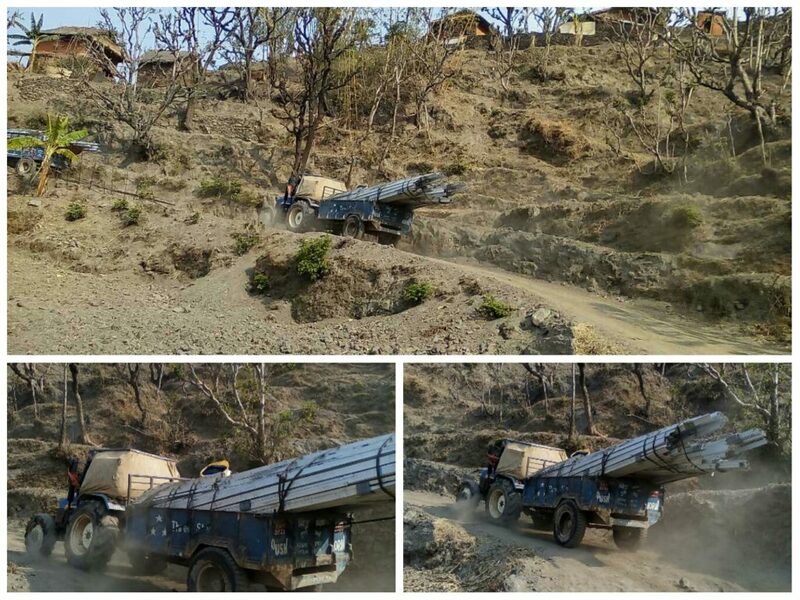 The LGS trusses being transported by tractors on the new dusty roads of Khotang. These pieces are for the Himalayan Primary School in Sungdel. LGS is a new technology in Nepal although it is popular in many other countries for its lightness, ease of assembly, and earthquake safety. Another advantage of this technology is that the whole structure is portable – we can shift it easily from one place to another when required. 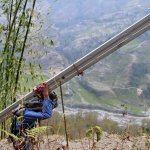 This is especially important for schools in the hills and mountains where the ground might give out or where landslides or floods might endanger the schools and students. 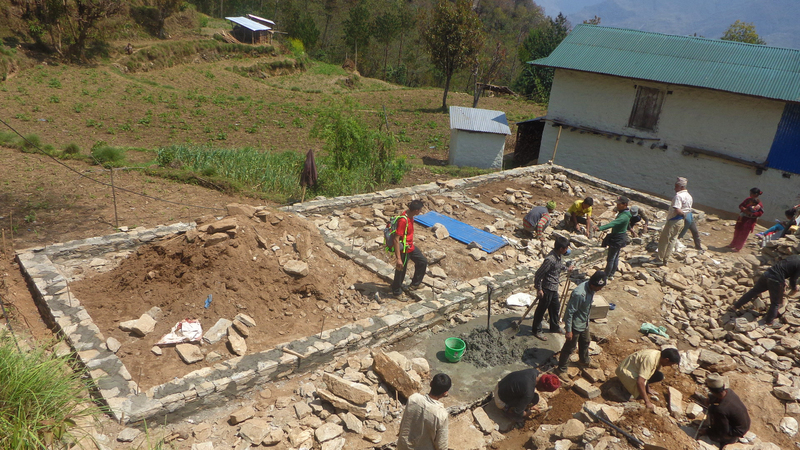 We plan to finish the majority of construction before the monsoon rains begin in Nepal. The biggest challenge so far has been the transportation of the LGS trusses to the school sites. At this point though, all of the parts have either reached the construction sites or are en route, and the trusses for the last LGS school will be transported within the next week. Check out the video below to see how rebar required for our school construction is transported on foot by community members. 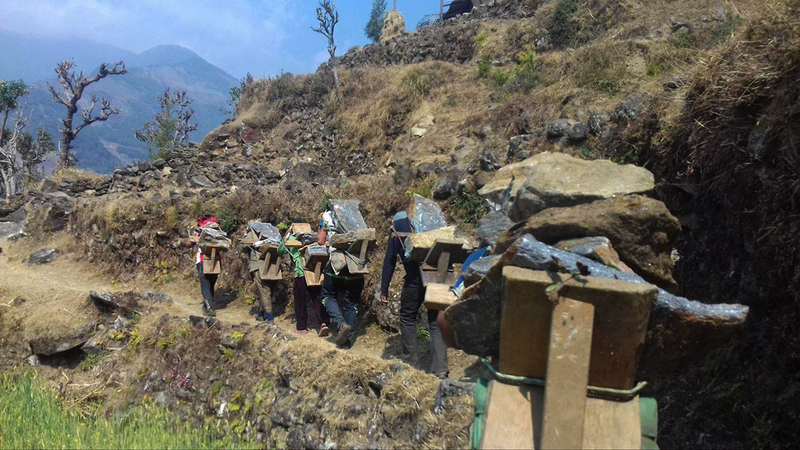 Community members have also been busy collecting local materials like gravel and stone for the schools, while mules are currently transporting the remaining construction materials such as plywood, glass wool, cement, and sand. People in these communities are working rapidly to complete the schools as soon as possible. We are concerned about the upcoming local elections, which are scheduled to be held on May 14. If the elections take place as planned, they may disrupt or slow down our construction activities. Our technicians Raj Kumar, Chhatra and Subindra are working around the clock to train and oversee local masons in using this new technology. There have been several times when we had to redo a section, but overall this technology has been really well-received by the communities and readily adopted. 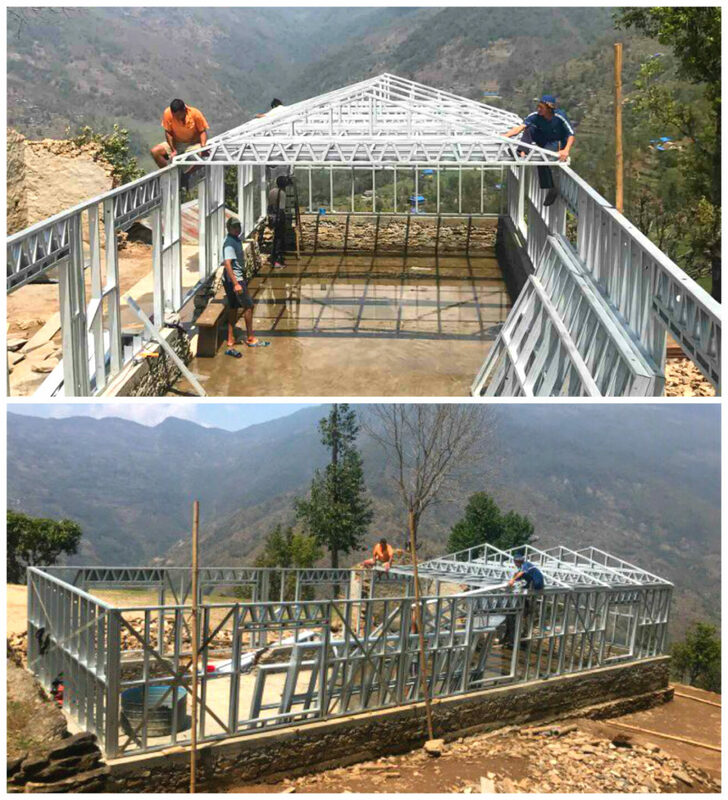 In the following photos, our technician Subindra guides and teaches the construction crew how to assemble the LGS frames. After the completion of all 8 schools, we will have built more than 40 classrooms that will allow around 500 students who are currently studying in vulnerable or temporary learning centers to move into new, bright earthquake safe classrooms. Students and teachers in front of the Temporary Learning Center in Panchakanya School, Susla. We are rebuilding this school now. A student of Panchakanya School stands in front of her damaged school room. 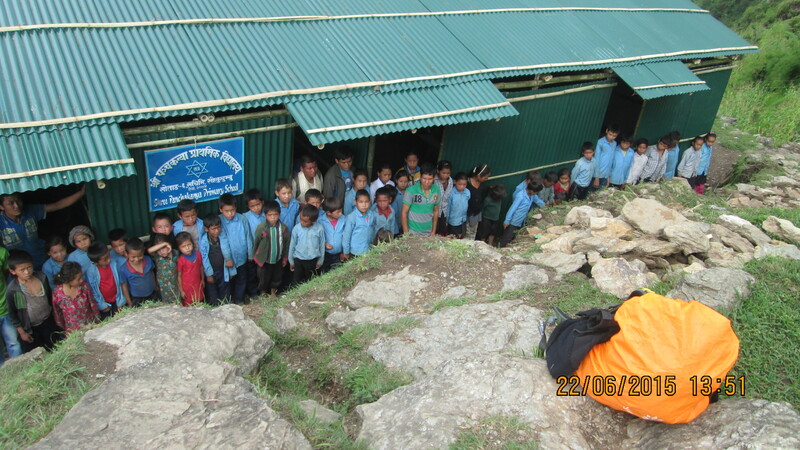 This is one of the 8 schools that we are rebuilding currently. 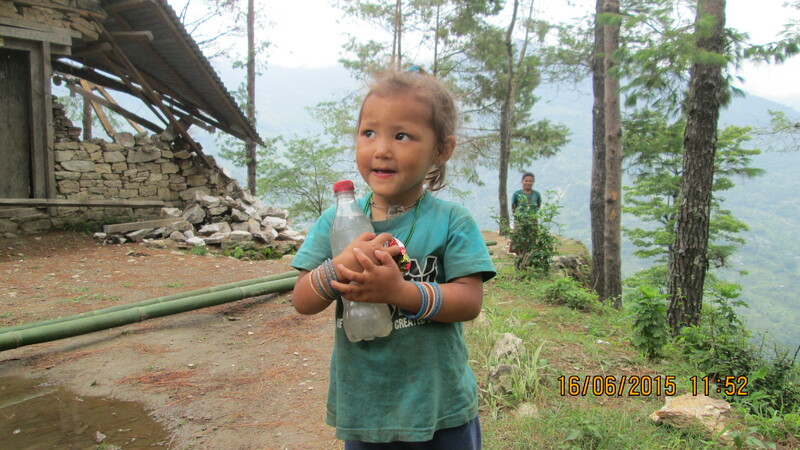 We also provided direct support to 419 families that lost everything during the earthquake. Instead of providing direct handouts, we wanted to give the family members an opportunity to recover on their own terms and to have a sustainable means of support. We extended three types of support to these households: free agricultural materials and trainings; free seeds and training for market vegetable crops; and focused training and seedlings for high-value cash crops including cardamon, ginger, turmeric and hot peppers. 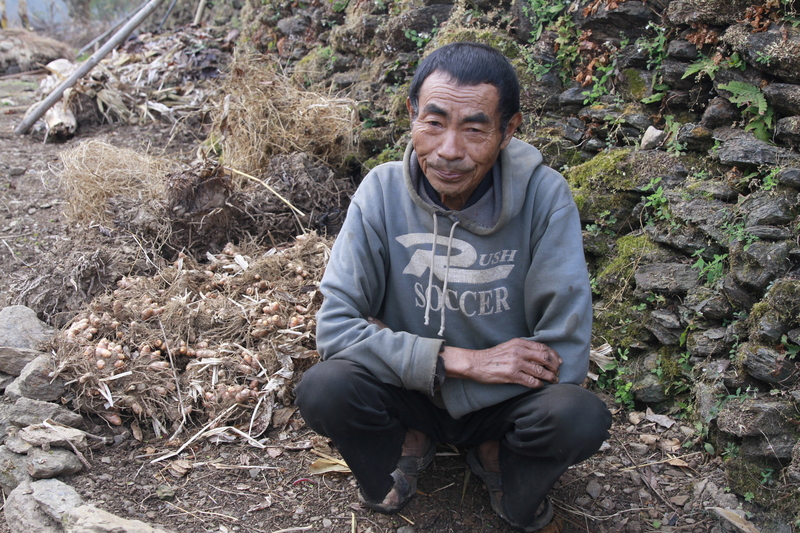 Tarasur Rai lost his home during the earthquake and was left with little option to feed his family and rebuild his home. Already he has earned about $200 in new income from selling ginger. 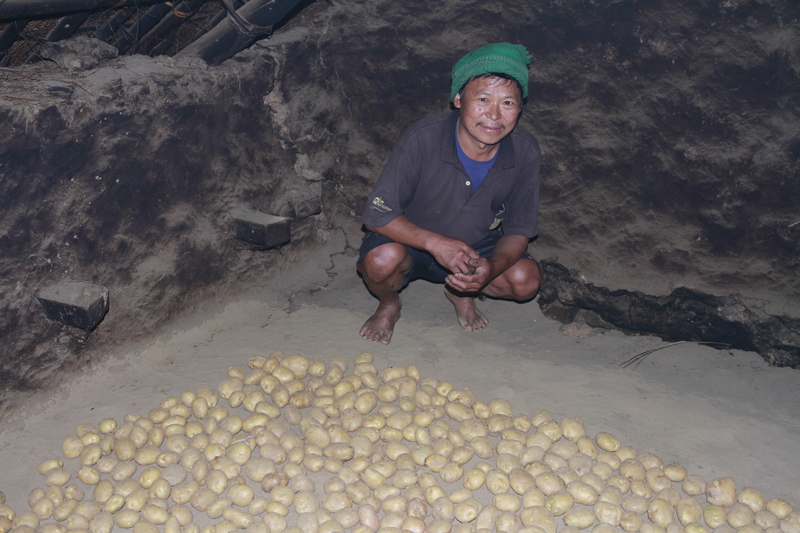 He has also begun to experiment with potato farming this year and has become successful in harvesting a lot of potatoes. He hopes to earn more than $400 from the potatoes this year alone. Pictured is Tarasur in his attic where he has stored all the potatoes and we can also see the massive crack that was formed in his house by the quake. Punarsingh Rai lives alone, having lost his wife and family. Inspired by our support and with technical help from our staff, he has already started earning income from many of his farm products. He made around $100 from bitter gourd sales alone. Here in the photo, he poses with his pile of turmeric that he recently harvested. 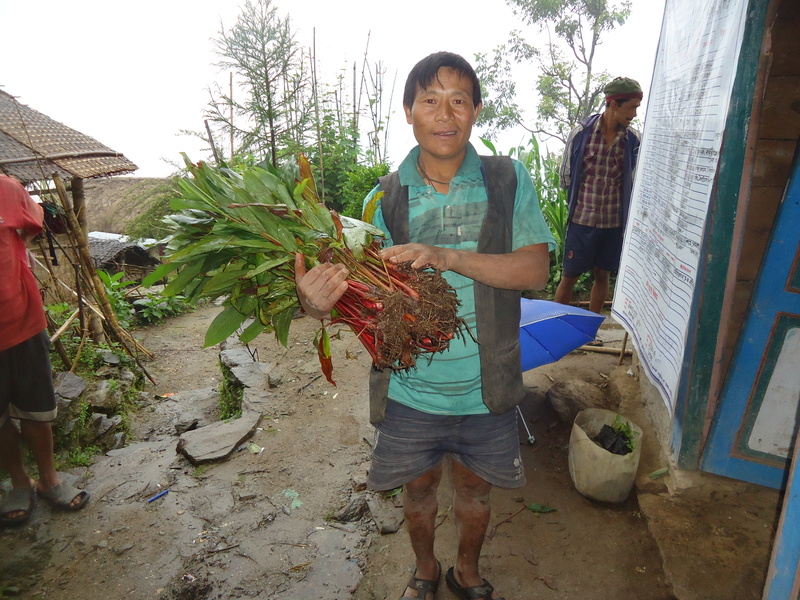 We supported him with turmeric seed as part of the earthquake package. He will earn about $100 from the turmeric this year. While these numbers are only in the hundreds of dollars, this is a massive amount in the current context of Nepal, and a good start in terms of financial and personal empowerment! Follow us in our social media networks, facebook, instagram and twitter to stay updated. Previous Who run our world? Women Do!